Perfect for: Those growers seeking the right balance between Indica and Sativa effects, good yields in exchange for little effort, exotic-looking plants and fruity flavours. Born from the cross of an Original Amnesia Autoflowering and an autoflowering Blueberry, Blue Amnesia XXL Autoflowering is an extraordinarily beautiful plant capable of producing crops as impressive as the ones delivered by feminised photoperiod genetics with a delicious Hazy taste accompanied by some hints of berries. Not suitable for those who aren't used to consuming extremely potent marijuana strains. 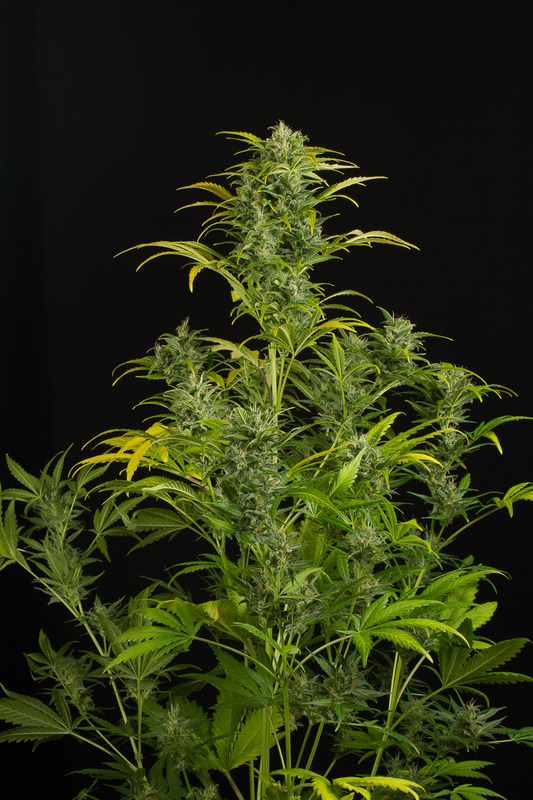 Blue Amnesia XXL Autoflowering marijuana plants offer a major Indica/Sativa balance. 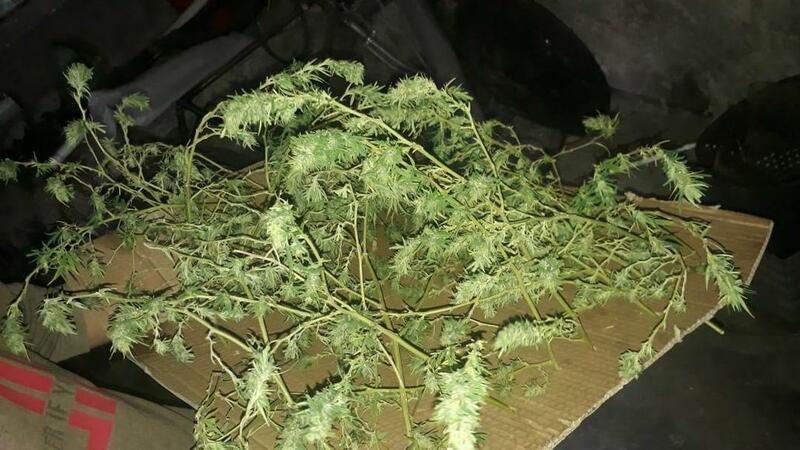 With medium internodal spacing and Sativa-like leaves with thin leaflets, their structure is rather small and tight, very similar to the one of an Indica plant. 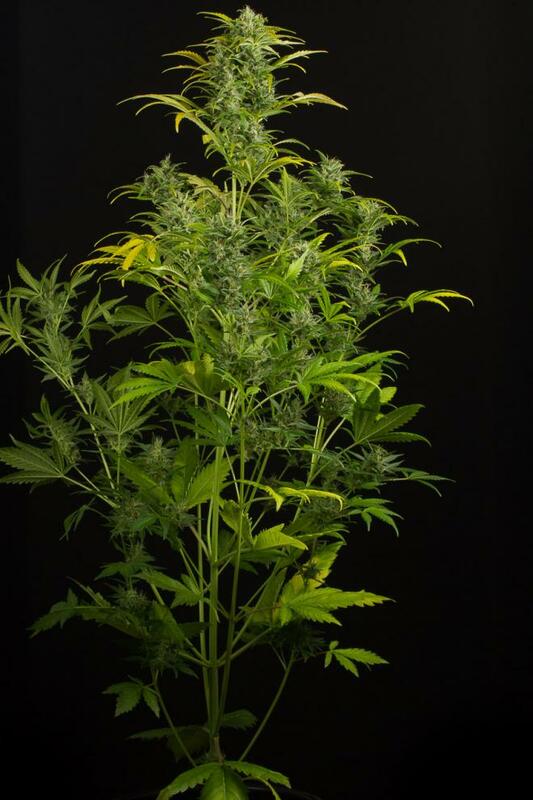 Blue Amnesia XXL Autoflowering cannabis plants can grow up to 1.30 m, meaning they’re perfect for growing indoors or in a place where there’s not much room available. Blue Amnesia XXL Autoflowering lives up to her name delivering incredibly bountiful crops of Indica-like buds, that is, of thick, resinous and elongated buds. We cannot forget that the flowers of this cannabis plant stand out for their intense blue colouring. Blue Amnesia XXL Autoflowering is a cannabis delight with sweet and fruity overtones accompanied by hints of black pepper and lemony Haze. Tasting her is exactly like putting in your mouth a handful of wild berries and some lemon juice. 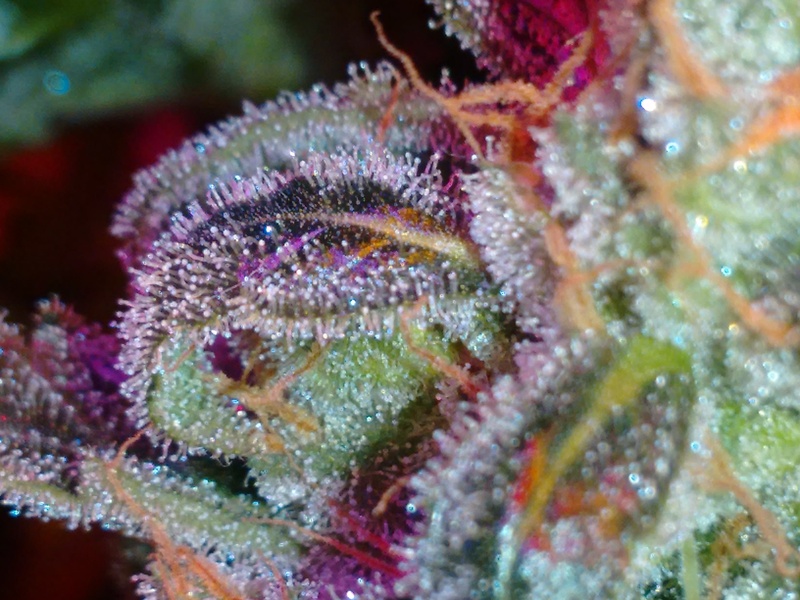 This marijuana strain is one of those super-tasty hybrids that cannabis gourmets cannot miss. 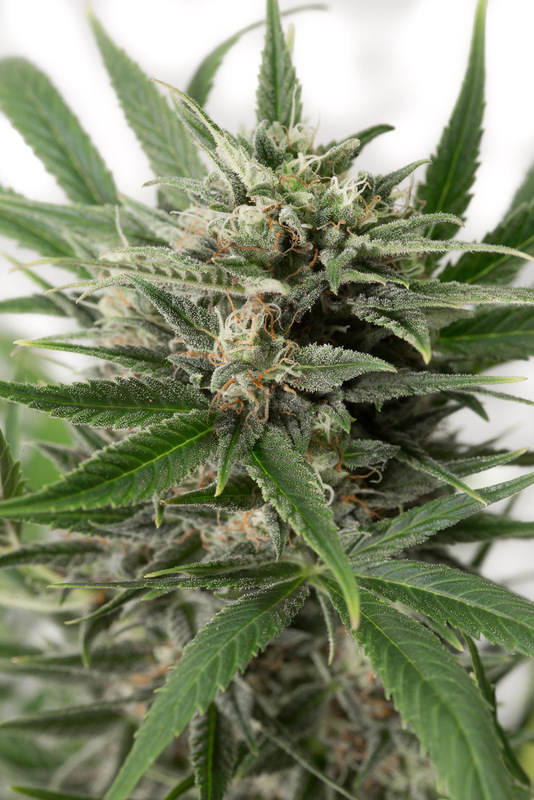 Blue Amnesia XXL Autoflowering delivers a highly balanced Sativa/Indica effect that starts with a crushing wave of cerebral sensations that shakes your mind awake and ends up with a warm physical relaxation that lasts hours. Not suitable for those users who aren’t used to consuming cannabis. 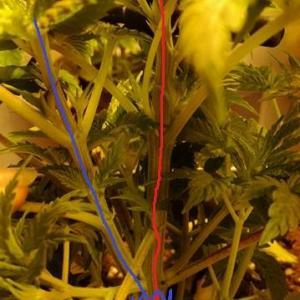 Like all autoflowering genetics, Blue Amnesia XXL Autoflowering thrives when the substrate is well aerated and her roots can make the most of the available nutrients. To make sure this comes about, you’ll have to add 30 % of coco coir to the substrate. Her Sativa dominance being rather low, she doesn’t need as many nutrients as her sisters. The amount of fertilisers you’ll provide any Indica strain with will do. 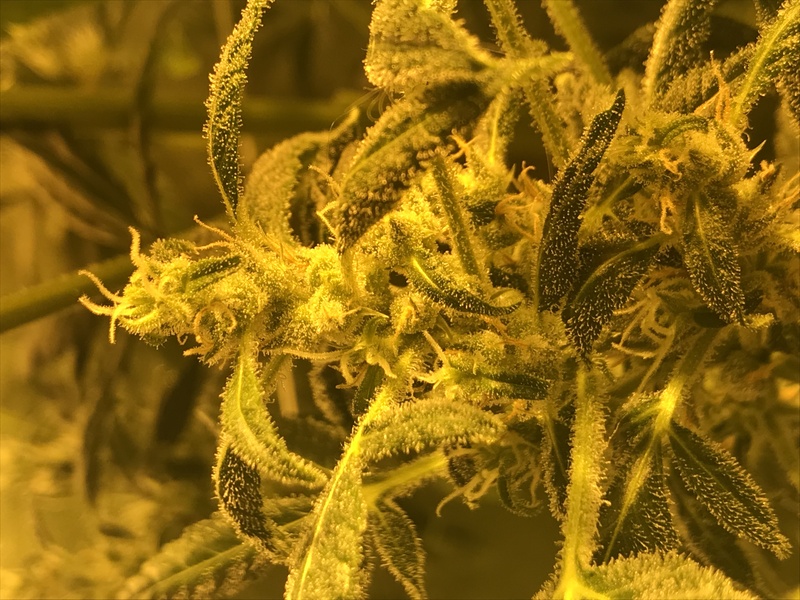 Blue Amnesia XXL Autoflowering must be grown in a pot of at least 10 L. However, should you want this cannabis jewel to show all her potential, we recommend using a 20 L pot. The result will be simply amazing! When it comes to her behaviour against moisture and plagues, Blue Amnesia XXL Autoflowering showcases two traits that make her more resistant than other plants: a rather high Sativa dominance and a fast flowering. 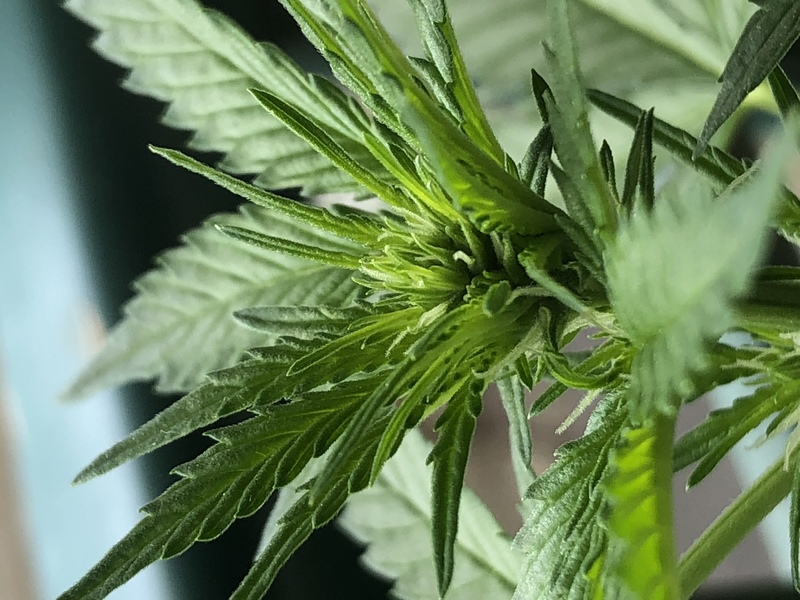 Sativa genetics derive from humid tropical climates, meaning Sativa hybrids still present some traits typical of this genotype: a larger internodal spacing and thin leaves that make for a better perspiration. Autoflowering plants, for their part, are less likely to be hit by plagues given their short life cycle. 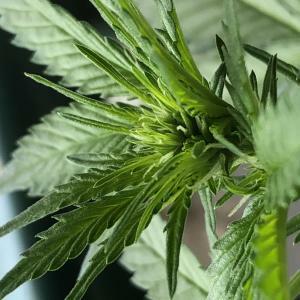 Therefore, Amnesia Blue XXL Autoflowering having both characteristics, she’s perfect for growing in humid climates as well as in regions with short summers. 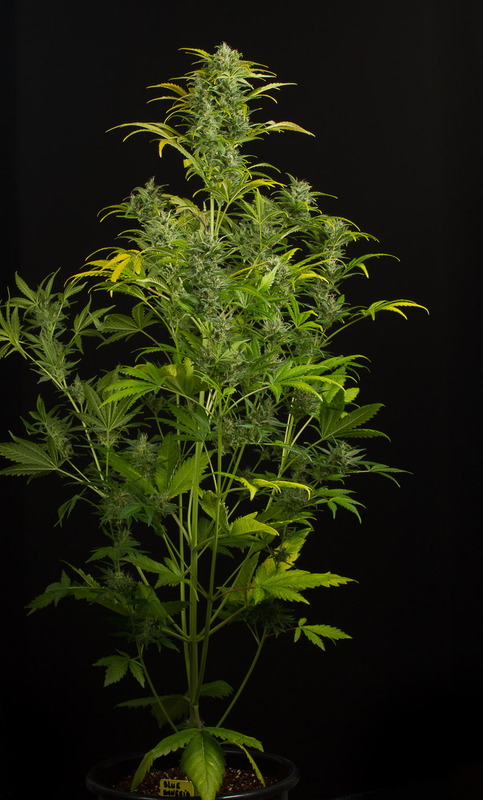 Unlike relatives such as Amnesia XXL Autoflowering , Blue Amnesia XXL Autoflowering doesn’t require the use of stakes during the last weeks of the flowering because she isn’t particularly big. If, to top it all, you manage to make the temperature drop some 10ºC during the darkness cycle throughout those last weeks, the leaves and buds of Blue Amnesia XXL Autoflowering will acquire beautiful purplish and violet hues. 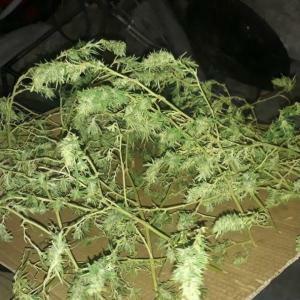 I really liked the genetics, a beautiful appearance in its branches and flowers, fast, beautiful and powerful sativa. Thank you Dinafem, you guys are awesome! The Blue Amnesia I have going on my balcony, 31" high, 44"wide, makes those pics above look like a weed, so to speak. Its been budding for 5 weeks and I expect no less than 4-6 ozs. Buds are already 3" s tall. With about s weeks to go, 1st week of august now …. After trying a few different strains from dinafem and having good outcomes, I tried to grow this one indoors under a 400w light system. I enjoyed every part of growing and smoking this strain. It is not the quickest auto but the dankness and yield is worth the 10-20 extra days :) It had a big stock and handled all sorts of toping, fims and super crops under 20hours of light per day. It is the first time I see pink colors in my weed. My friends were jealous of me when I had this lol. 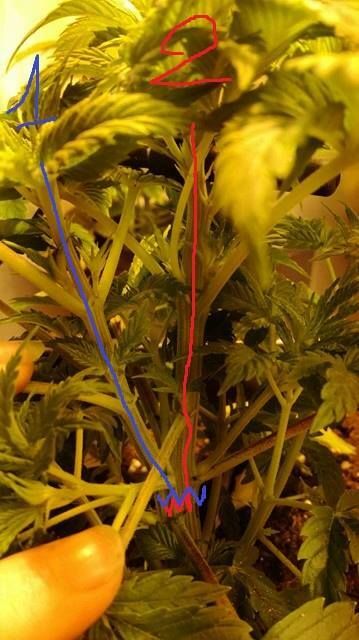 I am a rooky grower but this strain me confidence in my self and dinafem. Great plant amazing crop, I have grown this twice, but much better second time using more grow feed.lovely aroma and clean high. 2 to 3 oz pp. This was an amazing strain. Resilient and potent, smells absolutely incredible, grew fast and thick, highly recommended. If you want a flavorful sativa auto, this is the one for you! 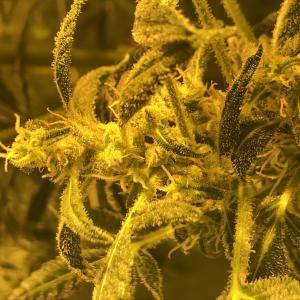 What do you think about Blue Amnesia XXL Autoflowering?